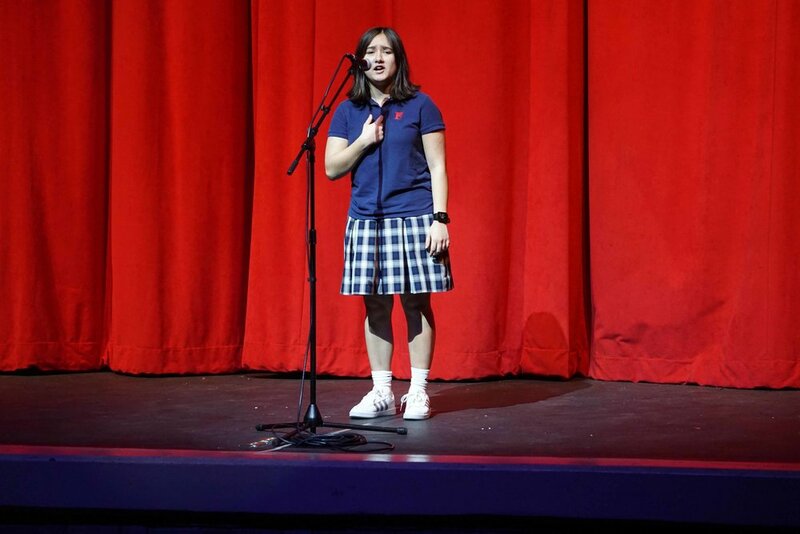 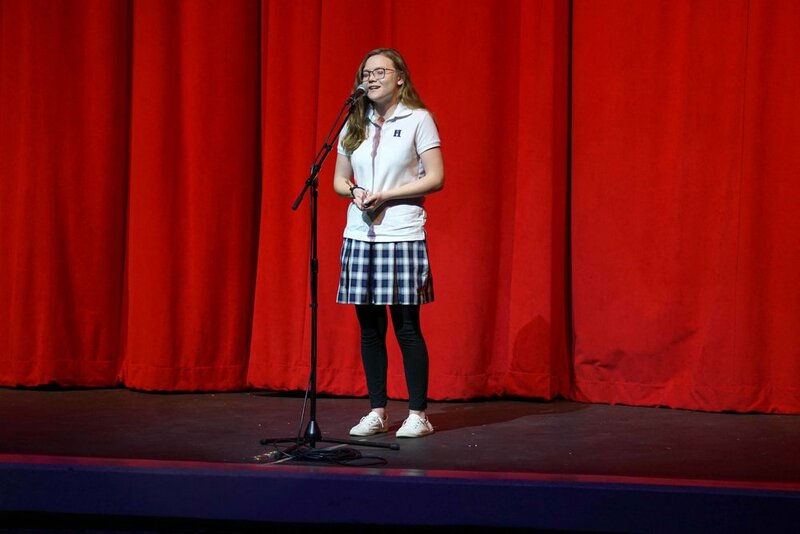 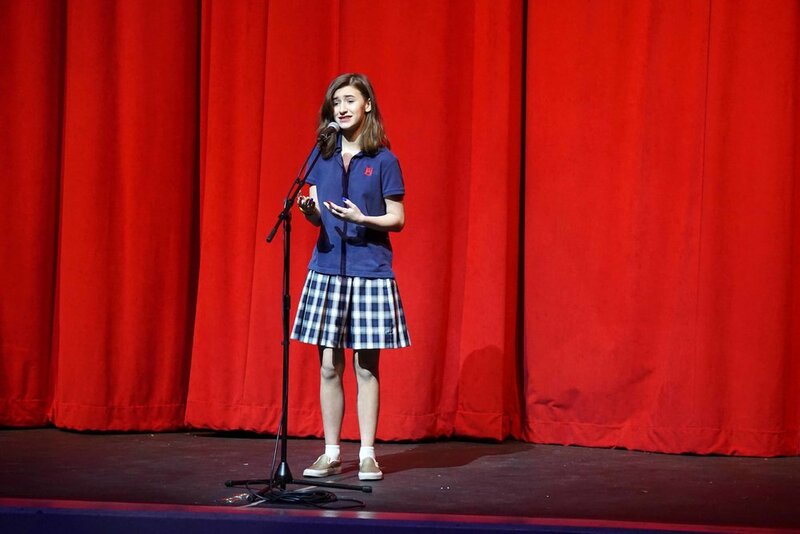 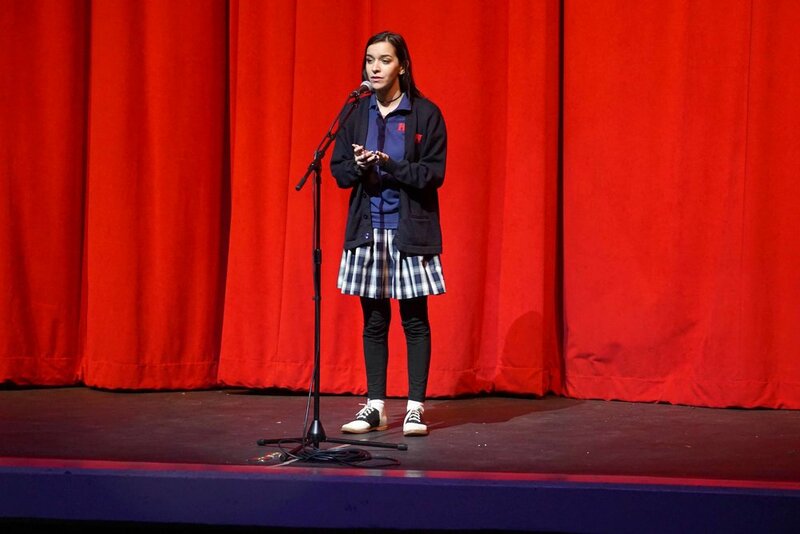 On Tuesday, January 15 Harding held their 5th annual Poetry Out Loud competition. 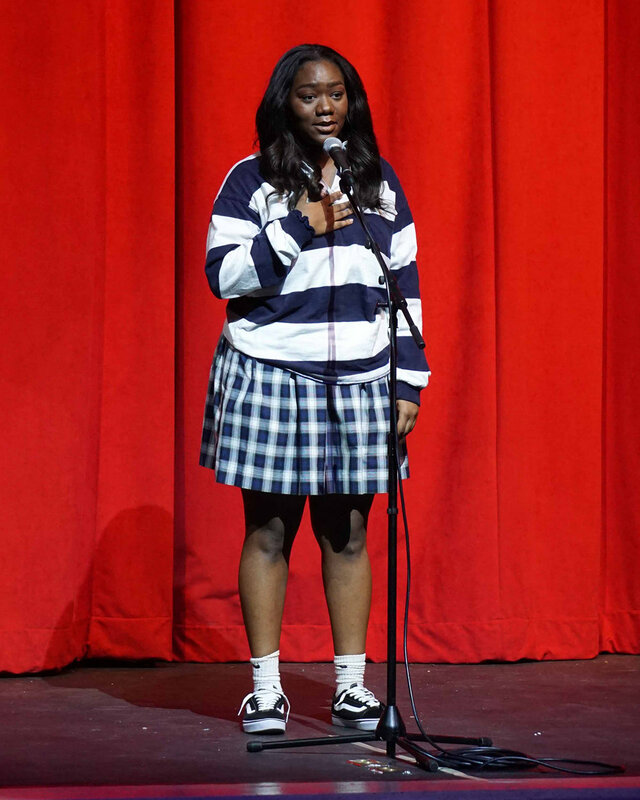 Jada Laws placed 1st, Cole Dunham placed 2nd, and Maia Bennett placed 3rd. 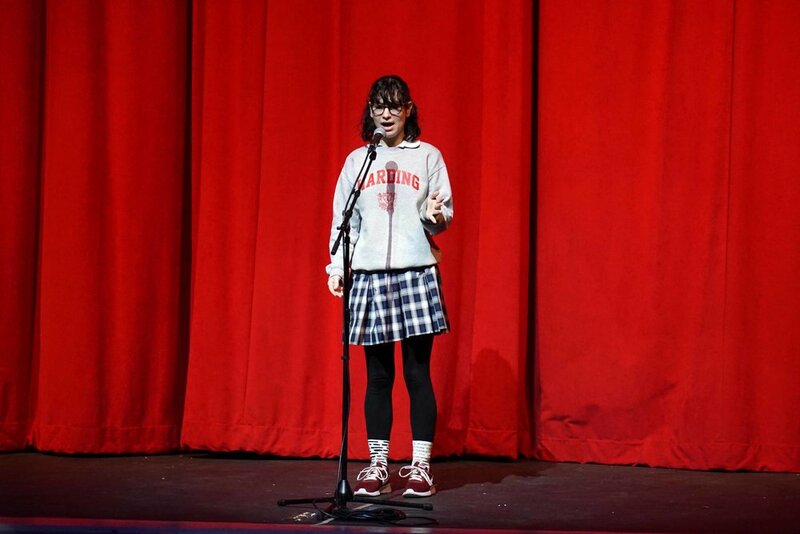 Jada will represent Harding in the State Finals Competition March 1-2 at the Tennessee State Museum in Nashville. 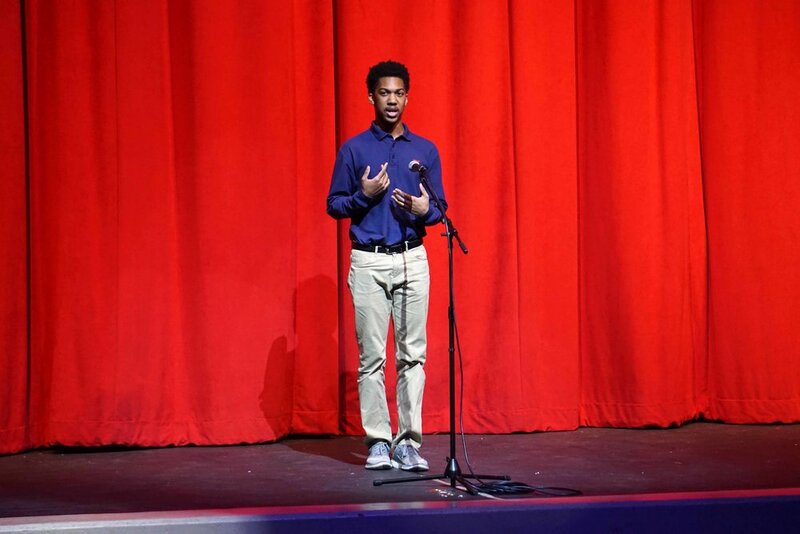 Click here for more information about Poetry Out Loud and the Tennessee Arts Commission. 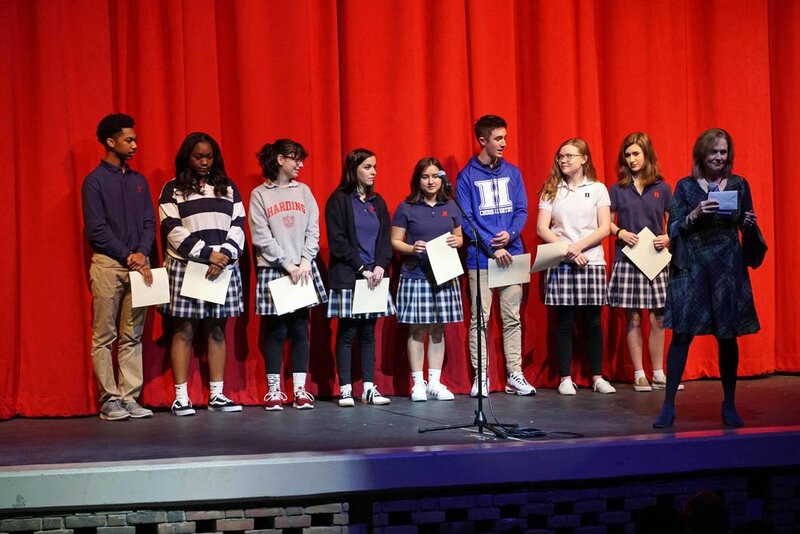 All Harding students, grades 9-12 participated in classroom competitions by reciting one poem, and those classroom champions then competed to determine these eight finalists. 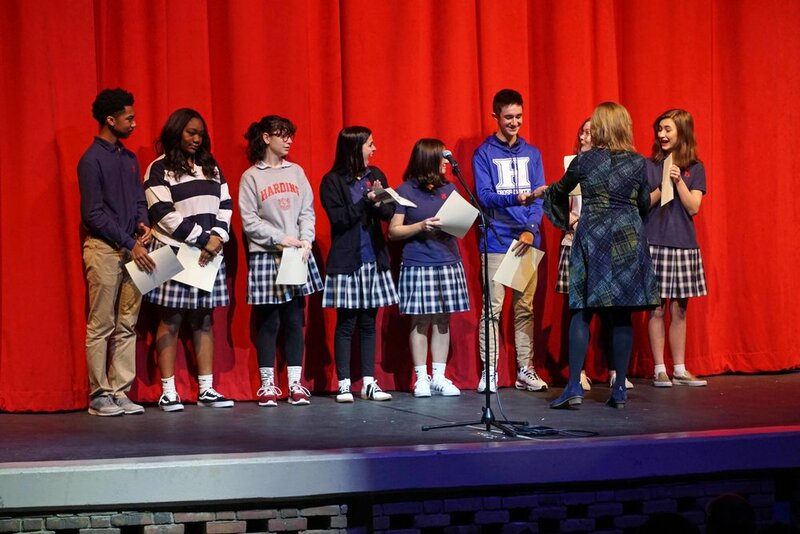 Below are the student finalists, the title of their two memorized poems, a link to the text of the poem, the contest winners, and the judges.